The Dovo straight razor Buffalo Horn from Edward’s. 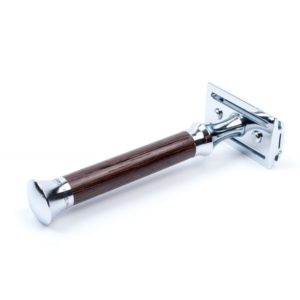 This 5/8″ of stainless steel blade Is the perfect width for a straight razor. Also excitingly this Is the same razor as featured In James Bond Skyfall. This film Icon of a razor has since caused quite a stir among Bond collectors once Identified. We at Edward’s are pleased to sell it. Stainless steel, Is also the easiest to strop. 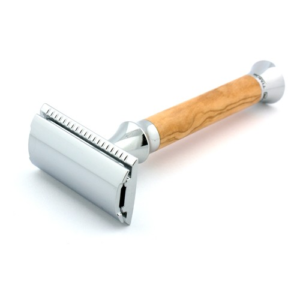 It will come basically shave ready, although you will need a strop to maintain it, If you use it. We have therefore provided a strop we offer In a link at the bottom of the page. The handle Is buffalo horn, which will vary In color as It Is a natural product. 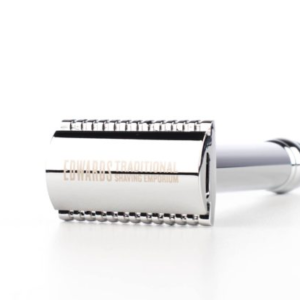 At Edward’s we a pro the straight razor shave. Many are fearful of an open blade, But those people are frankly cowards. 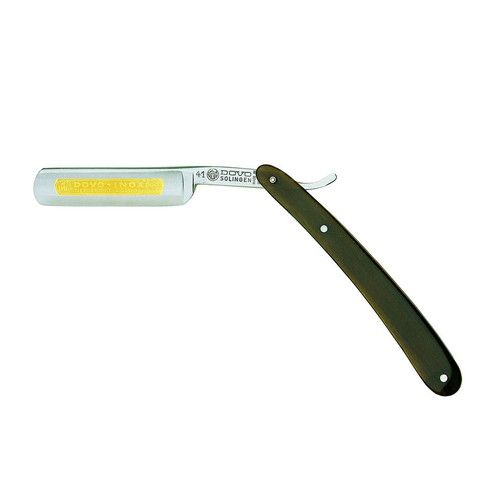 A straight razor Is safe to use due to the wide area of blade and the closeness of shave Is another level. We will guide you through stropping technique over the phone or email. We will also teach you the correct way to use a straight razor effectively. Dovo are an ancient shaving company from Germany. In fact Solingen is where they used to make the best swords In country during medieval times. Which were noted for the hard steel. 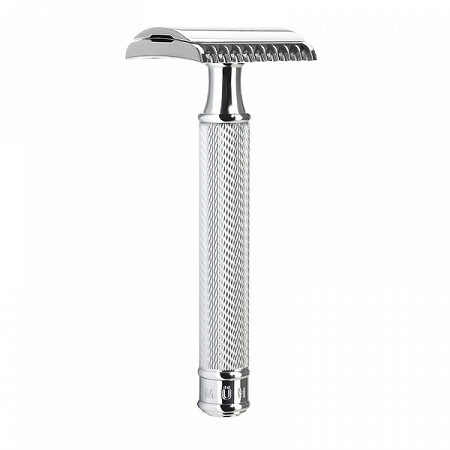 As a company they make reliable razors that are easy to use. Free UK delivery on Dovo products makes us a great company. Any questions please get In touch. The Dovo straight razor Buffalo Horn at Edward’s.